Granted that last year was a phenomenal one for animated features (“Toy Story 3,” “How to Train Your Dragon”), I have to say that I didn’t give animated fare enough of my time through the course of the season. Therefore, I thought I’d get things started early this year. 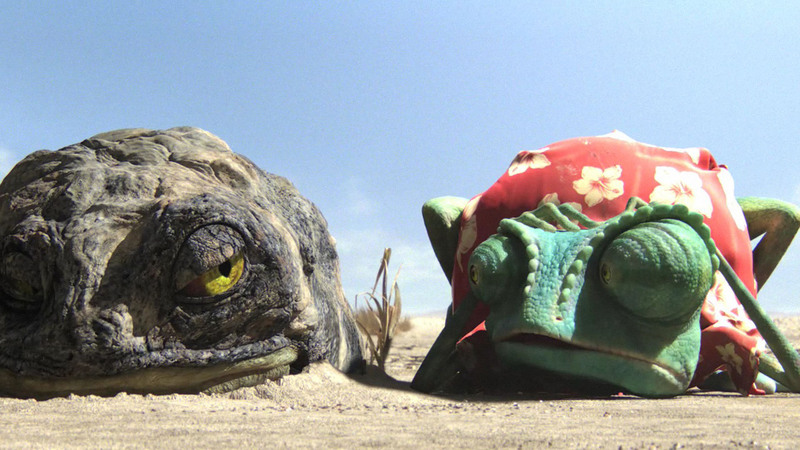 However, while Gore Verbinski’s “Rango” is certainly not a bad film, it doesn’t set the bar very high, in the same way that Lee Unkrich’s masterpiece did almost a year ago. 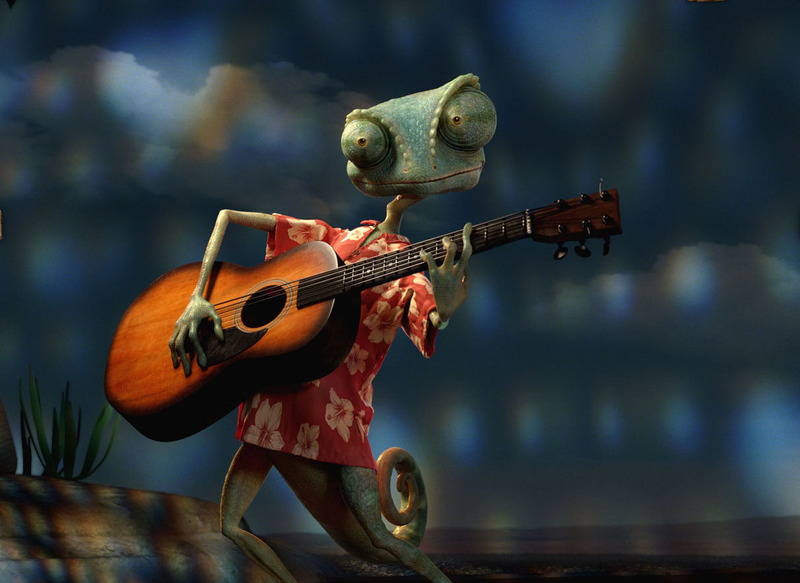 “Rango” is a simple story of an unlikely hero. The before-nameless chameleon (Johnny Depp) is stranded hopelessly in the desert. He is half-rescued by a local lizard (Isla Fisher) who brings him to her water-deprived township. Through a series of mishaps and good luck, the iguana wins the respect from the townspeople, their job of sheriff and the title-name “Rango.” Yet, when all that’s left of the people’s dwindling water supply is stolen and the town’s most ominous figures are suspect, Rango realizes that he might be out of his league. The chameleon must find the courage that he never thought he had and prove himself to a group of people who have nothing left to hope for. The story itself certainly isn’t anything in the realm of high art. It’s a standard tale of a seemingly weak individual thrown into extraordinary circumstances and forced to become the person, or chameleon, he only dreamed that he could. That structure isn’t a bad one. It’s worked time and time again in phenomenal films, but only when there’s an added element of creativity, which this film lacks…other than all the character’s being cowboy-animals, which is a little more preposterous than it is creative. However, we’ll get into that later. The voice cast does great work. One can tell, right off the bat that the title role was directly written for the talent of Johnny Depp. From the soft-spoken quips to random outbursts, it’s really difficult to imagine anyone else reading these lines. Bill Nighy and Ray Winstone use their sinister tones to great extent as a few of the film’s many antagonists. The only actor I could do without is the ever-growing-more-annoying Abigail Breslin. Her entire cute, mousy, adorable relief could be done away with, entirely, in my opinion. There is one aspect of this film that is a monkey I just can’t get off my back. Some people will call me unimaginative or argumentative, but I’m sorry, this just bugs me. I’m put off by the absence of any effort to have the setting, characters or events make logical sense. This is a world in which desert animals wear Hawaiian shirts and cowboy hats. They drink out of shot glasses, sit under ceiling fans and play mean riffs on the guitar. It just doesn’t compute for me. The film takes whatever liberties it wishes and stretches the boundaries of reality however it pleases. Just because a film is animated does not mean that there are no cinematic guidelines that should be respected. To further illustrate my point, certain other animated features have a fantastic premise, while keeping their roots firmly planted in reality. “Finding Nemo,” “Happy Feet” and all of the “Toy Story” films create improbable plotlines, but never escape the boundaries of logic. The animals in “Finding Nemo” and “Happy Feet” have a defined society, talk to each other, and in some cases, sing and dance. Yet, they don’t build auditoriums to do their routines. All of the animals basically exist the same way they do in nature. And in the case of “Toy Story,” obviously toys are inanimate objects, and yet in their world, they don’t escape the realm of possibility. They create tools out of accessible household items and their environments are their owners’ bedrooms and toy boxes. It’s this creative sense of plausible fantasy that not only make the plot and setting of said movies easier to entertain in the mind, but funnier and ultimately more entertaining. And it’s not just the lack of logic, but the unmitigated disregard for it in “Rango” that really knocks it down in my book. It puts up as a nicer-looking version of “Sponge Bob Square Pants,” so, congratulations if you like that kind of thing. It’s that same ode to ridiculousness that ruined Pixar’s “Up” for me. The first act of that film, and especially the opening ten minutes, are absolutely extraordinary and heartbreaking. However, once the talking dogs (that could fly planes, no less) came in, I checked out. Speaking of nice-looking, one positive note that I must leave this film on is just how incredible its appearance is. An impressive amount of detail was put into all of the visual aspects, from the fur on the chin of the hedgehog to the shine on the drinking glasses. One can definitely tell that Roger Deakins had a hand in this, being credited as a visual consultant (just as he was on “How to Train Your Dragon” and “WALL-E”). Every shot is incredibly predetermined, framed and orchestrated. It’s a real shame, in fact, that the quality of the story could not match the film’s astounding look.